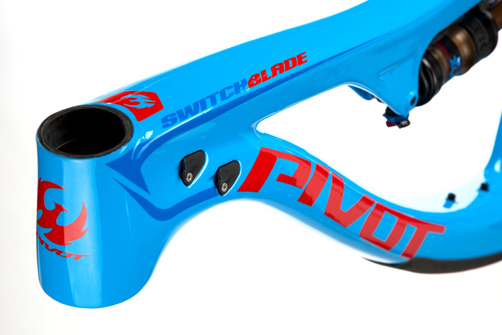 The Pivot Switchblade is a 2016 award winning bike with VitalMTB and Mtbr Best! 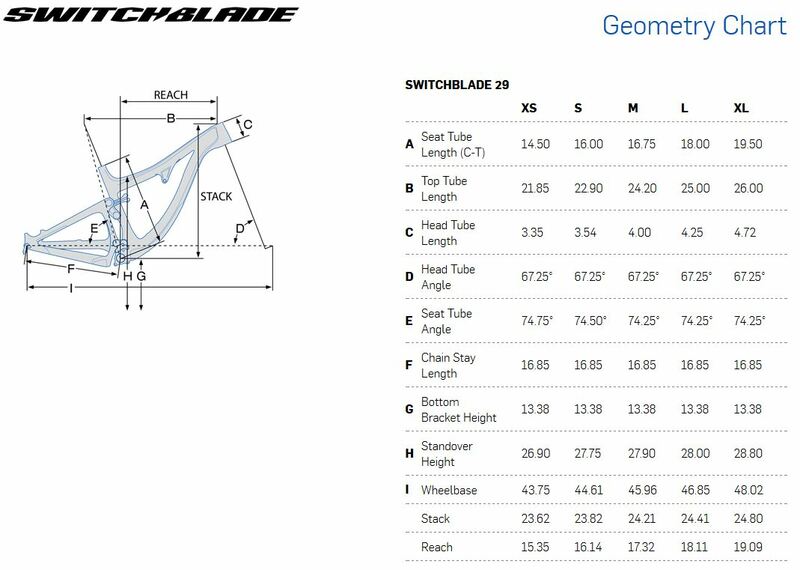 From the very beginning of our engineering process, the Switchblade was designed to accommodate multiple wheelsizes, and it is this advanced planning that enables us to get so many great features into one unstoppable ride. 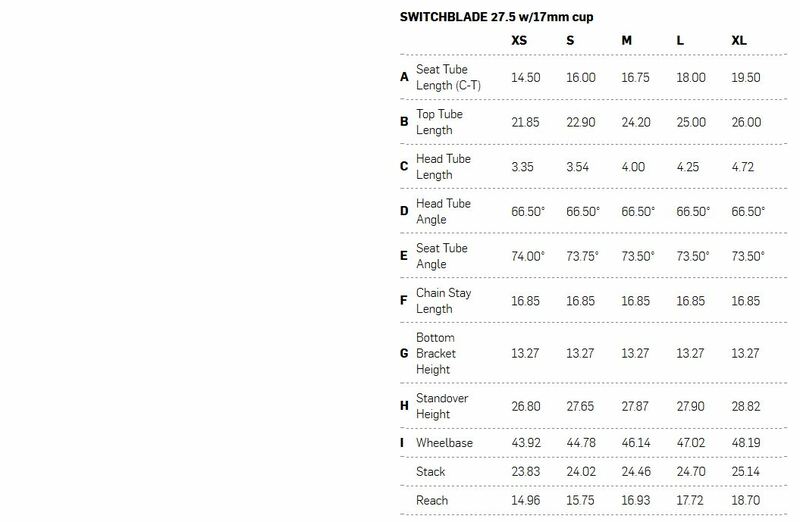 At the heart of the Switchblade’s dual personality is a full carbon chassis featuring Pivot’s new long and low geometry combined with ultra short, huge clearance chainstays (up to 1cm shorter than the closest competitor). Putting these two holy grails of bike design into a single frame design means that riders will experience both unmatched high-speed stability through chunky terrain and effortless split-second manuals over seemingly impossible obstacles in one amazing machine. Pivot’s frame shapes are 100% driven by our pursuit of the perfectly tuned ride, the cleanest design, the strongest product and the lightest possible weight. With our own hollow core, internal, high compression carbon molding process we can deliver on the performance requests of our top athletes by finding the perfect combination of composite materials and shapes for that perfect balance of strength, stiffness and the ultimate ride quality. Dave Weagle, the brains behind dw‐link® and Chris Cocalis, Pivot’s president and founder, collaborate on every Pivot suspension design – for the Switchblade, they focused on utilizing the best attributes of the dw‐link® for the ultimate in enduro/trail performance. dw‐link’s anti-squat and variable wheel travel path means that the Switchblade pedals better than anything else in the category. 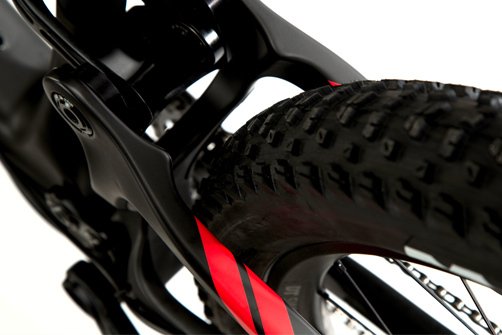 Because the frame doesn’t squat or bob under pedaling force, we are able to lower the bottom bracket height and slacken the head angle to achieve the best performance in high speed and technical sections while also maintaining precise handling and poppy ride that makes a great trail bike so much fun. The Switchblade is spec’d with the Fox Float DPS shock with the new EVOL air sleeve, tuned specifically for the Switchblade’s dual personality. 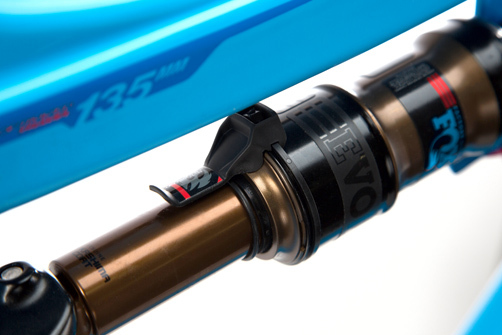 The new Float DPS features improved bump absorption and firm lockout with a new DPS damper with three on-the- fly lever adjustments – Open, Medium and Firm options cover all of your terrain choices. The EVOL air sleeve significantly reduces the force required to initiate travel for the ultimate in small bump compliance and better bottom-out resistance. When combined with the ultra-low friction Kashima coating, this design offers an incredibly plush feel in every setting. While dw-link® is inherently efficient on its own, the firm option is great for long climbs. These shock features are direct complements to dw-link® suspension tuning and patented position-sensitive anti-squat, giving riders even better traction on steep climbs and over rough trail.